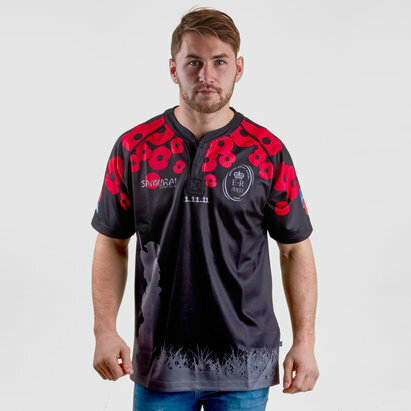 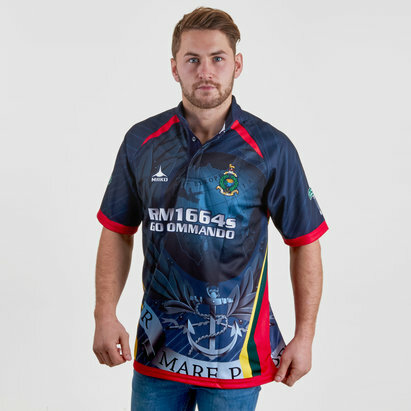 A proud and distinct offering, show your support for the British Armed Forces with the Royal Marines Falklands Limited Edition Charity Replica Rugby Shirt. 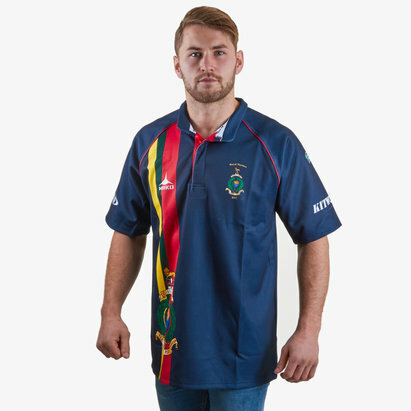 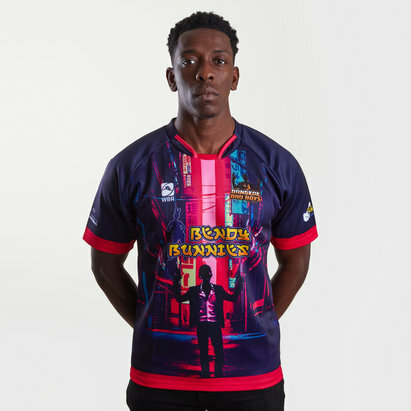 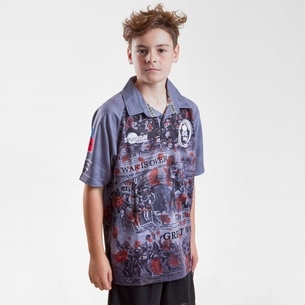 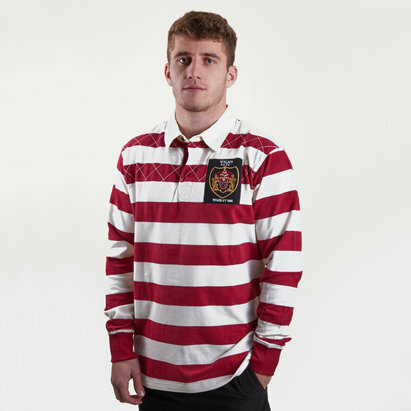 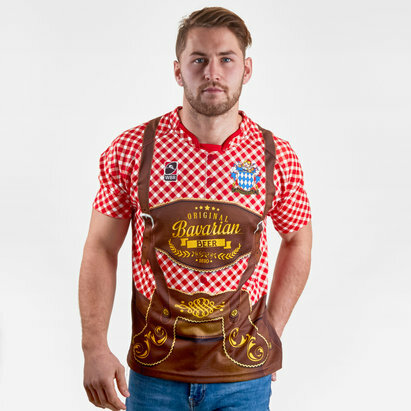 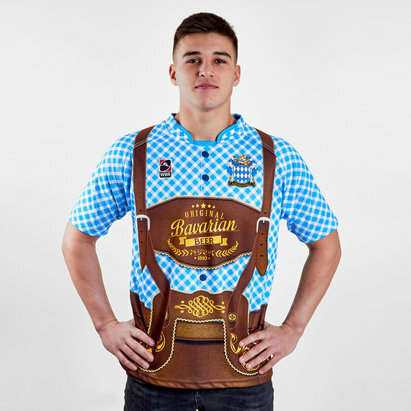 Made by KitWorld from polyester, this is a replica of the version as sported by the players and as such offers a looser fit for casual wear off the field and all year round. 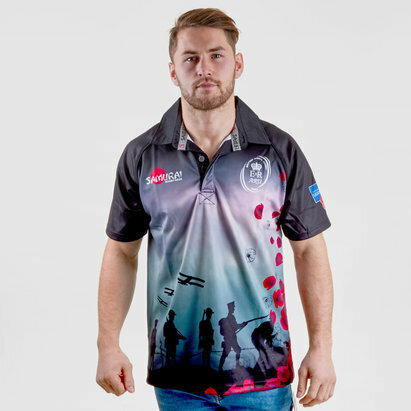 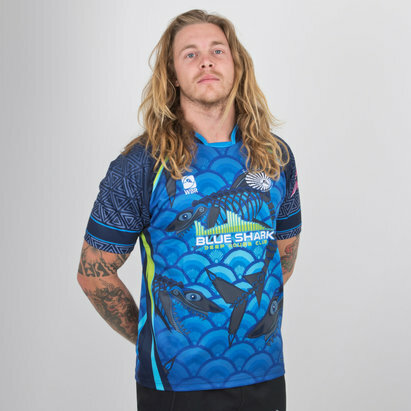 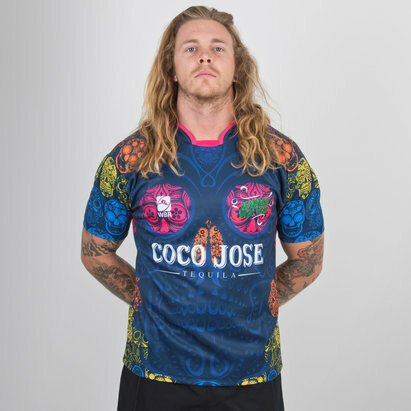 Created with an entirely sublimated design, this adds a professional look and feel to the whole jersey. 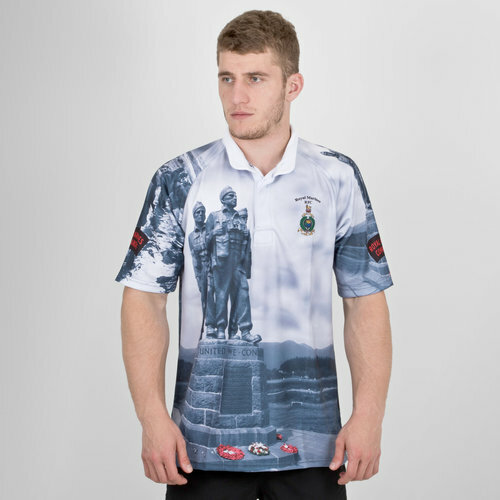 The chest and left sleeve play host to the famous Commando Memorial along with their motto of 'United We Conquer' while the back and right arm capture the famous Falklands yomp, heading into Stanley in 1982. 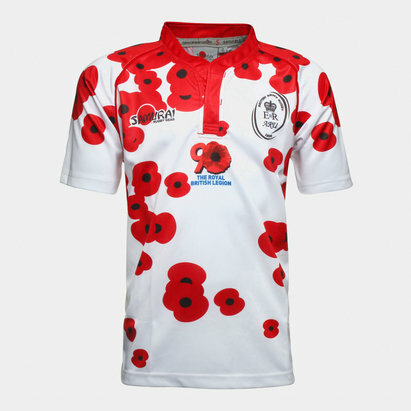 £5 from every sale goes to the Royal Marines Charitable Trust Fund.